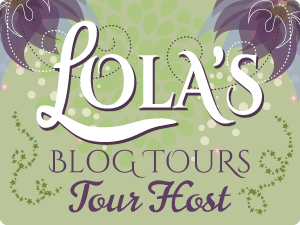 Today is my stop during the blog tour for If You Fight (Corrupted Love #2) by K.M. Scott! I have some teasers for you and an excerpt! Trapped in that bed as a captive audience, I watched as my husband entered my hospital room and noted the look of surprise in his beady eyes. Thought you got rid of me, did you? Not so quickly, Oliver. I’m tougher than I look. Behind him, my father followed, along with Ryder. Overjoyed to see him, I didn’t even attempt to hide how happy I was he’d come to be with me. I’d pretended long enough for a man who tried to kill me. Rage simmered beneath Oliver’s façade of worry for me, but he said nothing in response to my father’s dictate, even though I knew how much he chafed under his orders. He turned back to look at me and as if on cue, he played the loving husband act like a pro. So that’s how he planned to play it. Would he say it was an accident that caused me to fall down a flight of stairs in my own home while he was there? Or would he claim complete ignorance and continue with the desperately concerned husband act? Out of the corner of my eye, I saw Ryder react to Oliver’s words, his eyes opening wide and filling with anger. My father watched Oliver carefully, hanging on every word he said like he wasn’t sure if his son-in-law had been involved in hurting me.